This jacket is lightweight (370g in size M), a sophisticated technology and consists of a Gore-Tex Pro Shell Layer / Paclite mix for alpine use. The shoulder, back and hip area is reinforced to provide more comfort. 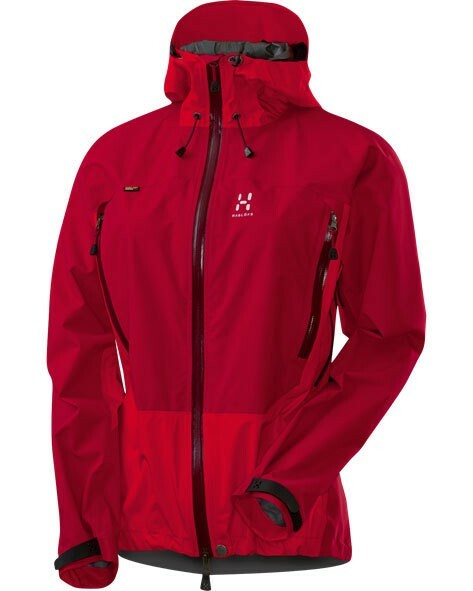 A waterproof 2-way zipper front with wind flap to prevent ingress of water. For added comfort of laminated fleece lined chin guard is in charge.